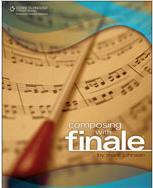 Finale offers all the notation tools required to craft virtually any composition. Unfortunately, the imaginative ways these tools are used sometimes becomes an elaborate composition in itself! Composing with Finale shows you the essentials you’ll need in order to make the most of this program’s incredible power. Studying Finale from a compositional perspective eases the learning curve overall, transforming Finale into an extension of your imagination. Instead of describing procedures most beneficial to copyists and engravers, this book isolates the methods crucial to working with a composition in progress— how to efficiently translate directly from your mind to the score. Far from a “point-and-click” guide, Composing with Finale will help you compose more music with one of the most advanced music-composition tools on the market. Our price: $39.99 + $10 shipping for first item, others $6 each. Whether you’re thinking about a career in audio but aren’t sure where to start or you’re already working in the audio industry and looking to advance your career, this book has all of the information you will need to get your audio career on track! 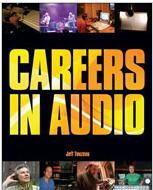 Careers in Audio is the definitive career guide for the rapidly growing (and evolving) audio industry. It details job descriptions and career paths, while providing suggested entry avenues and growth opportunities within these paths. Each section includes information on salaries you can expect, potential risks for a given career path, work/life balance, traits and skills valued in the industry, and much more. Best of all, each section includes interviews with successful audio professionals in that field who relate their real-life experiences for your benefit. The book also includes an extensive list of educational facilities, published works, websites, discussion boards, and professional organizations to help you make your audio career search as easy as possible. Our price: $34.99 + $10 shipping for first item, others $6 each. 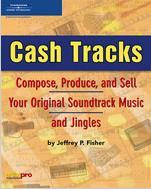 Don’t sign a recording contract before reading this book! 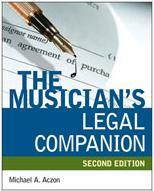 The Musician’s Legal Companion, Second Edition gets to the core of the legal issues you need to know about, in clear, straightforward language. Here you’ll find easy-to-comprehend explanations of the four main contracts used in the music business: recording artist, songwriter, artist management, and performance. You’ll also discover how to make the relationship with your current or future attorney more fruitful and cost-effective. This new edition includes expanded coverage of topics such as the use of independent producers, 360° agreements, distribution and marketing agreements, how radio and other media fit into an artist’s career, film and television agreements, digital distribution, name and likeness agreements, merchandising agreements, and much, much more. With more than 25 years in the music business as a lawyer, educator, and writer, interacting with many musicians both personally and professionally, Michael A. Aczon shares the many lessons he’s learned and takes you on a journey to a better legal understanding of the entertainment industry and your music career. Our price: $26.99 + $10 shipping for first item, others $6 each. This new, updated second edition provides musicians with all the latest information they need to make jingles and score video productions. With so many changes in the industry, this is a much-needed revision to this popular guide. With major emphasis on promotion, this book covers some new technological information based on today’s soundtrack composition techniques. With a huge demand for professional compositions for movies, TV, video, radio, and other multimedia formats, this book delves into how to take advantage of this demand and make a successful career. Fisher educates readers on how to organize production resources, prepare and present demo recordings, work with clients, craft profit-producing copy, promote work, protect themselves legally, get the money they deserve and more. Our price: $24.99 + $10 shipping for first item, others $6 each. This book gives both aspiring and seasoned songwriters a powerful new approach to writing songs, focusing on common obstacles in the songwriting process and techniques to help songwriters overcome them. 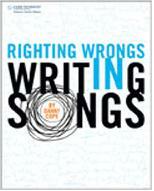 Each chapter goes to the root of a specific songwriting problem and provides exercises to help readers over the hurdles and put their new skills to work. Topics include writing approach, purpose, structure, melodic significance and construction, basic music theory, word meaning, word design and arrangement, chords, and how they are all pieced together. Along the way, a song is created to act as a case study and a demonstration of what each exercise can result in. The lessons are fun, informal, and include fresh suggestions and exercises born out of the author’s experience in teaching songwriting at the college level. The book’s companion website provides audio clips to accompany the relevant exercises and examples presented in the book. Our price: $29.99 + $10 shipping for first item, others $6 each.